My name is María Cuc Jiatz. 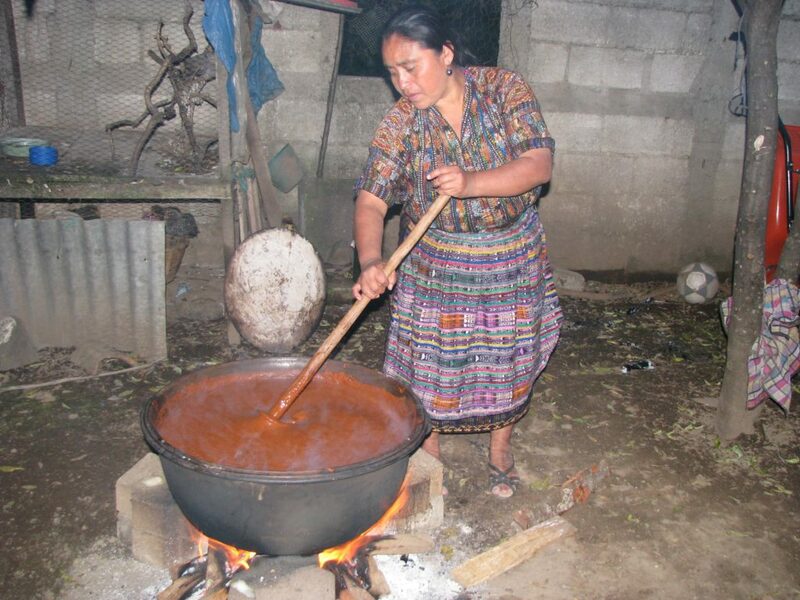 I was born into a poor Maya family in Sololá, Guatemala, the only one of six siblings to receive a formal education. My mother taught me how to weave on a back-strap loom when I was ten, but I never had a chance to practice this traditional art because I had to work to pay for my schooling. After graduating from high school (which in Guatemala is more like junior college) as an accountant, I focused my efforts on grassroots community organizing and education. I worked with several Mayan grassroots nonprofits to improve the lives of my people through community development projects. While working in rural communities around Lake Atitlán, I also found time to study economics at the University of San Carlos satellite campus in Sololá between taking care of my two young daughters. During this time, I met Felipe Gonzales, my husband-to-be. In 2003, I moved to Spokane, Washington with my daughters to help Felipe expand his import business, Moonflower Enterprises. 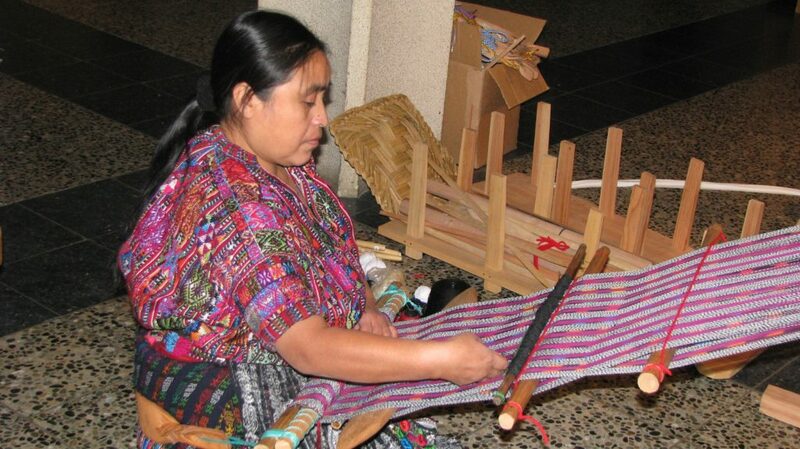 Moonflower supported Mayan artisans by marketing their beautiful hand-woven textiles and crafts online. I started weaving again on my traditional back-strap loom and took time to teach the weaving arts to my daughters. However, in 2010, during the economic depression, Felipe decided to close Moonflower Enterprises and focus exclusively on Maya Earth Coffee, supporting Mayan farmers and co-ops by importing their premium organic, shade-grown coffee. The economic crisis was a catalyst for me too. 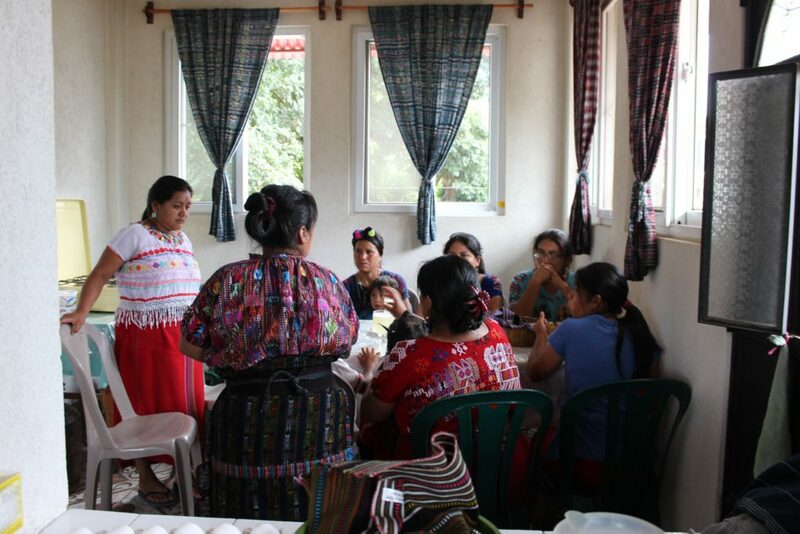 As the crisis spread, I pondered on how to support Kaqchiquel weavers in my hometown, Sololá. However, my revived interest in weaving and taking ownership of Moonflower Enterprises inventory inspired me to open a new business – Maya Color. My most important goal was to support Maya Kakchiquel weavers and help them preserve their traditional weaving arts, in particular the complex and labor intensive “ikat” technique that is the trademark of Sololá weavings. Maya Color’s importing focuses on Sololá, but I also continue to work with the network of Mayan artisans scattered across Guatemala’s central highlands that we developed during the heyday of Moonflower Enterprises. Maya Color features Mayan weavings with the Ikat technique, folk art, purses and accessories, musical instruments, wood statues, bead jewelry, shawls, I pad and phone cases and other hand-made Mayan art.